Try out the hottest way to get around our island. Our carts are easy to use and perfect to drive to the beach or grabbing a bite to eat. 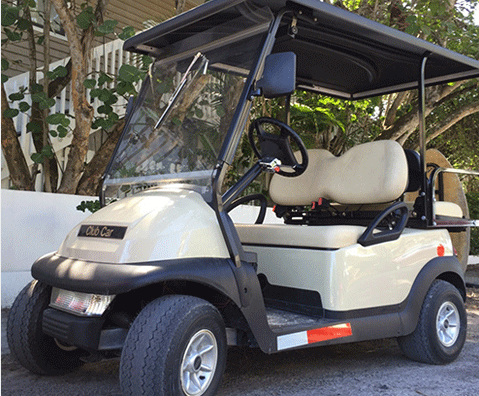 Don’t waste the gas in your vehicle, use a golf cart to travel in style. The back seats even fold down in our 4 passenger cart to make room for groceries or beach supplies. When getting your cart a trained staff member will answer all your questions and go over how to drive our carts. If you have any questions or need help while booking a golf cart feel free to call and an associate will be happy to help.